A new report reveals that harmful emissions from oil and gas development are increasing. This is bad news for Pennsylvania families who have been repeatedly told by industry trade groups that pollution is under control. According to the Department of Environmental Protection, in 2014 oil and gas companies emitted nearly 110,000 tons of methane – a powerful climate pollutant that’s rapidly accelerating global warming. That represents an increase over the previous year. With 2016 on pace to be the warmest year ever recorded, we should be reducing methane emissions, not increasing them. 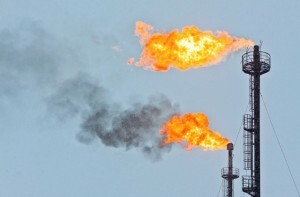 The uptick in methane emissions is not the only red flag. The DEP reports that other pollutants known to create severe health problems are also on the rise. According to DEP, industry emitted more than 6 thousand tons of smog-forming Volatile Organic Compounds – a 25% increase over the previous year. For the nearly 1 million Pennsylvanians who suffer from asthma, this rise in smog-forming pollution is especially troubling. While alarming, these figures still don’t represent the full scope of pollution created by this industry. The data released by the DEP merely reflects what was reported. Many scientific studies reveal that emissions are likely much higher. One study in Texas, for example, revealed that emissions were almost twice as high as official estimates. Fortunately, there is clear evidence that regulations can help drive down emissions. In 2012 the EPA started requiring companies to practice “green completions” on new gas wells. Since then, reported data indicates completion emissions in Pennsylvania have declined by over 80%. Colorado also serves as a textbook example: in 2014, the state began regulating oil and gas methane emissions and that same year methane emissions from oil and gas production declined 10% according to data from the Environmental Protection Agency. With oil and gas emissions going up in Pennsylvania, it’s clear that the state should get serious about the problem. In January, Governor Wolf and the DEP committed to regulating industry’s methane and VOC pollution but these protections have yet to become a reality due largely to counterproductive efforts from the state legislature. How much higher do emissions have to rise before Pennsylvania communities can get the protections they were promised? Left to its own devices, oil and gas companies have made air pollution in Pennsylvania worse. And while we may still not know the full scope of Pennsylvania’s emissions, these new figures make it abundantly clear that we need more oversight of the oil and gas industry in order to protect Pennsylvania from the rising risks of expanding development. This entry was posted in Air Quality, Climate, Natural Gas, Pennsylvania. Bookmark the permalink. Both comments and trackbacks are currently closed. I live in Ulster Pennsylvania and a.m. very sure that the methane emissions are higher. We have been getting storms that are much worse and our health is declining. For me this is a big change as to when I first moved here in 2003. I cannot even be out in the sun and we do not drink our water. Everyone I speak to is very upset about this. I am hoping very much that the legislature will do something besides talk about it. They live here too you would think they would care. I wish there was a way to shut them all down because there is no reason for this negligence. It is a sad day when there is no control over these big gas and oil companies. I do not see you there is anyone who cares about this Earth. Time to wake up close them down and use other means of clean energy. There is an increased not only of asthma but skin cancers and other diseases. Someone please care my grandchildren and great-grandchildren will have no place on this Earth and neither will the oil and gas companies. One would think they would care about their own Grand children and great grandchildren. The fracking has ruined much water and I believe this company here is being sued but what good is suing if the big Oil and Gas companies keep fighting to keep them open and probably figure that they will get back out on us by letting the methane increase. Governor wolf please get this straightened out between you and the legislature. I don’t want to hear that I’m a nice guy thing I want to see results. We pay taxes to pay you and the legislature to work for us and do your best job. I do not like when people make promises and do not keep them. I have to pay taxes and I want them used to better our region and all of Pennsylvania so we can take a deep breath without an increase in lung cancer asthma and God only knows what else sincerely Joan Meeker and my name may be used as I fear that if we do not all come out and let our voices be heard without a name it means nothing and you can print this tiny place because I do care about the future of Pennsylvania and our other states. Just look at the weather changes in our country. Wake up all that we have both voted in and do something or you won’t be sitting in the same place next time. And until it’s done maybe we are all going to have to wear some kind of masks for protection. Green completion is a joke!! Just another way to make the public think they are producing gas sustainably. It is all a lie! Wells are still being flared. Why are we still seeing uncapped and broken gas wells all over PA? Also why are we importing green energy from Canada to meet green energy goals without reducing our fracking activities? We need to stop fracking now and selling our state to the highest bidders!